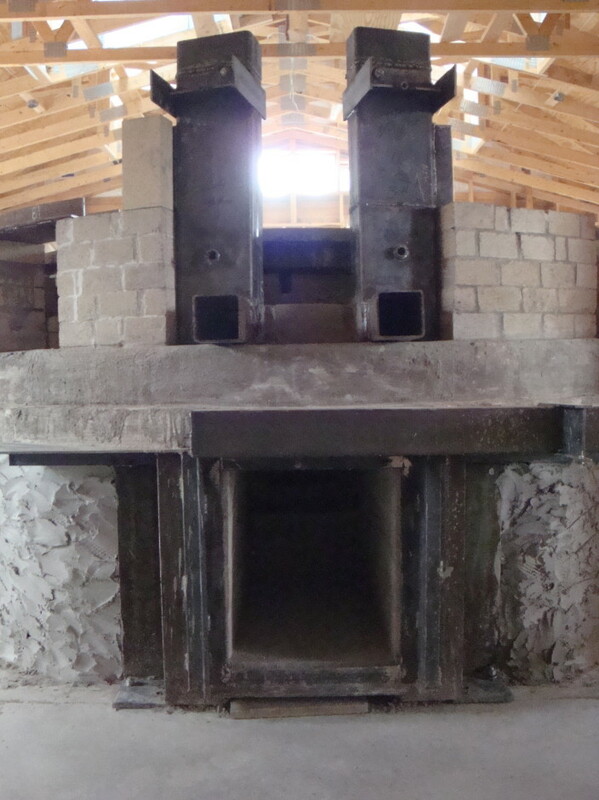 We bake our bread in a state-of-the-art wood-burning oven we made from nearly nine tons of brick, steel, and stone. It is modeled after the great Spanish ovens of the late 19th century. Like those ovens, ours is a “white” oven, which means that the fire heats the baking chamber indirectly. 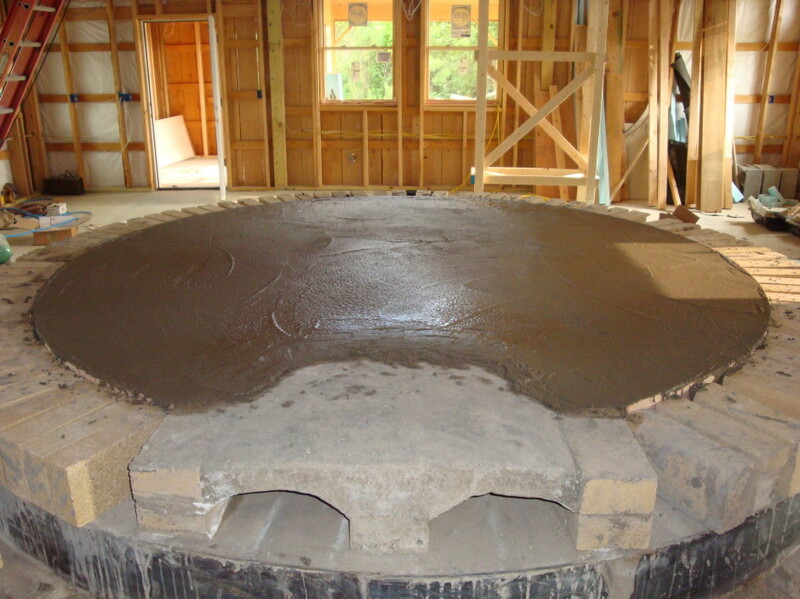 And, like those ovens, our baking hearth is a large stone turntable. The Wide Awake oven does differ in its materials and design to maximize energy efficiency and baking quality. Heat from a small firebox warms layers of stone below, around, and above the baking chamber, like a hot embrace. We build the fire in a small firebox, which sits low in the oven, well beneath the baking chamber. 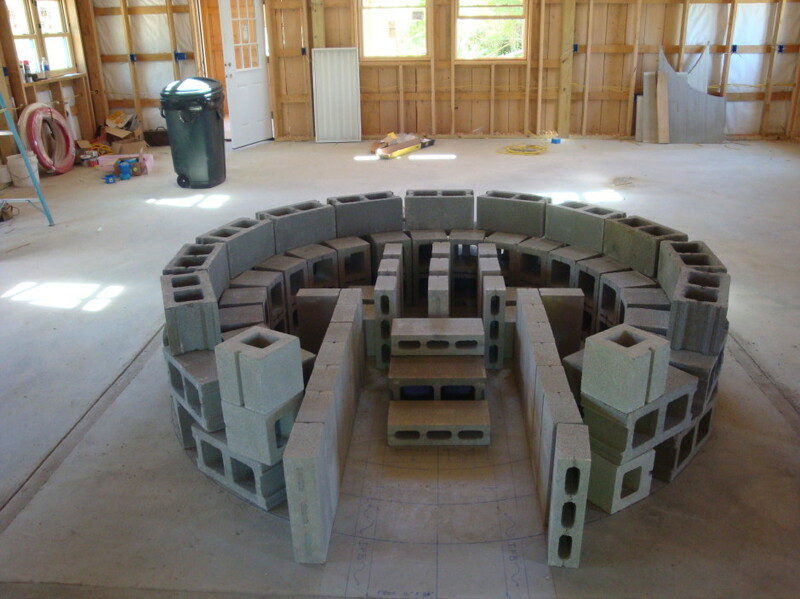 The firebox, constructed of refractory brick and cement, is insulated with a thick layer of closed-cell glass foam, which keeps virtually all the fire’s heat within the oven. The fire burns hot and clean, and the exhaust rises up an internal chimney into a domed brick chamber where it slows and spreads, sharing its heat with the tremendous mass of the oven. 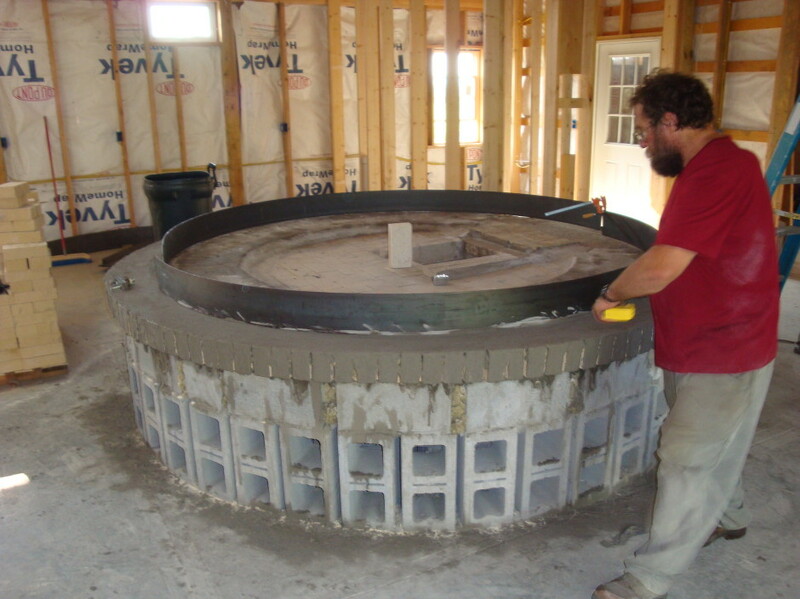 The brick dome itself sits beneath another dome, this one inverted and cast of refractory cement, which adds to the oven’s thermal mass and mellows the intense heat of the initial burn. All of this is enclosed by a sprung steel band, containing the outward thrust exerted by the interlocking domes. 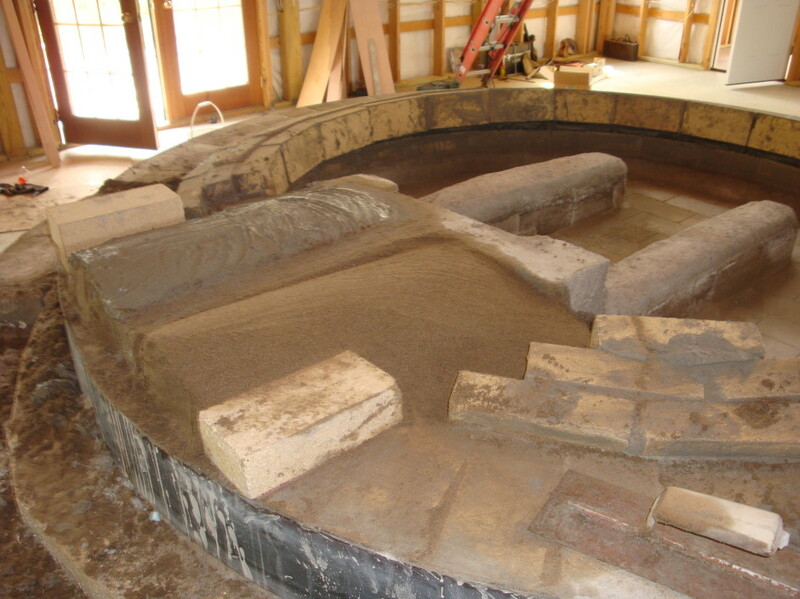 On top of the upper dome is a floor of dry-laid refractory brick, the floor of the baking-chamber. The oven’s brick walls are nine inches thick. 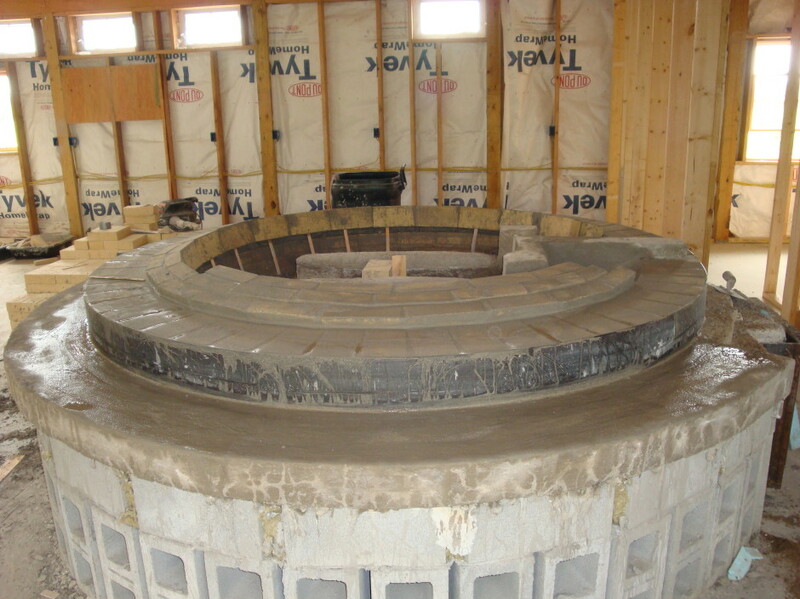 They are continuous with the oven floor, allowing heat from the fire to transfer directly into the walls. 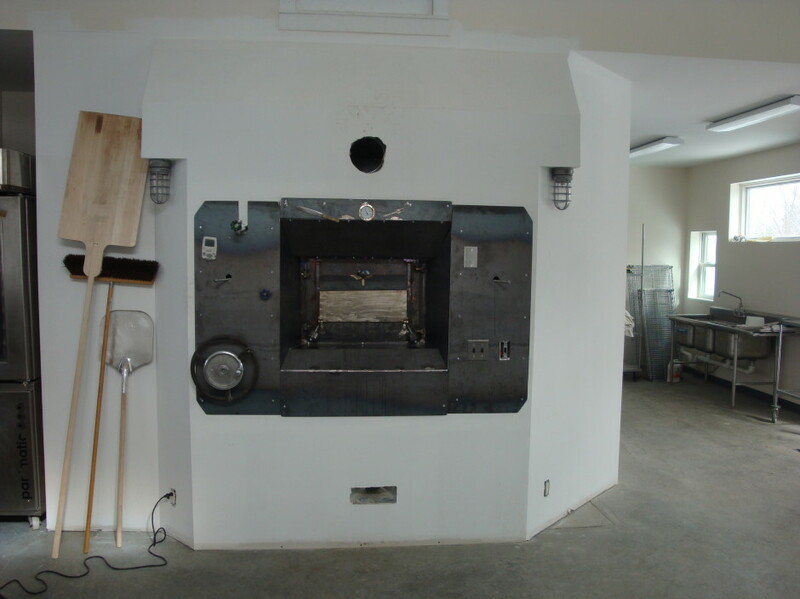 Borrowing from Russian stove designs, the walls of the oven contain internal flues that transfer additional heat from the fire into the baking chamber. When the fire’s exhaust leaves the lower chamber, it is still very hot, despite having given up much of its heat to the stone. Still more heat is absorbed by the flues in the oven walls. What heat that remains in the exhaust stream is finally captured by a convoluted masonry heat-exchanger in the roof of the oven. The final temperature and flow of exhaust is monitored by multiple thermometers, and it can be regulated by minor adjustments in five blast-gate dampers. Further increasing the oven’s efficiency, incoming combustion air is preheated in a labyrinthine channel in the oven door. From above, from below, and from about, the baking chamber is embraced by the wood fire’s heat. 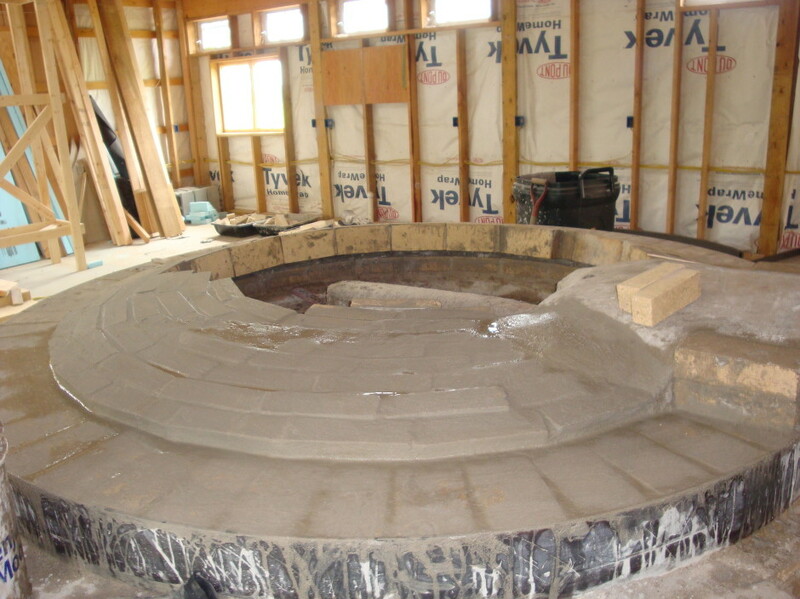 Suspended in the middle of the baking chamber is a 1000 pound stone turntable–the baking hearth itself– that is eight feet in diameter. The turntable rides on three wheels, and its rotation is controlled by a hand-crank aside the baking door. The baking chamber is high by most standards–approximately 18″–and the oven door is small and low. As a result, the upper areas of the baking chamber fill with steam, mostly arising from baking bread itself, encouraging exquisite crust development and flavor.